This is the 1001 post I write on this blog. As it happens I am turning 50 in about two and a half weeks’ time (14 July – Bastille day when the French population stormed the Bastille as the start of the French revolution, as well as La Fête de la Fédération – where peace was celebrated one year later). After contemplating what I would like best … the only meaningful idea sticking to my mind, is to ask you for any type of Postal mail you might want to send me. I would love to come over to all of you I have (virtually) met over the years, simply sit down, and have a real talk… but I do not have that type of money. Otherwise, yes, I would go on a talk-about combined with a walk-about. So, to all my (virtual) friends, family, and colleagues… if you find the time, it would really be wonderful to receive a postcard or letter. If you add your address, I will reply with postal mail in return. The reasons I would like to receive postal mail are divers, so adding them for anyone who wonders. Object traveling through physical space. The reason I thought of this idea, is because a card or letter is an object, and you would have selected the paper or card, touched it, reflected… and put your selection of ideas, art or wisdom on to this to-be-posted-surprise. It would travel its own route, be passed on … until it reached my doorstep. So to me, it would feel like a handshake or a hug passed on through time and location to arrive and be given in order to tell me: you are 50, that’s okay. I do not know where it came from… although I do have a lot of actions that I know I took. But, it feels like all of a sudden time is catching up on me and less options are available: no Olympic gold, less of a chance to become a celebrated neo-contemporary artist, no more thoughts on time being endless in this lifetime. I might be wrong cognitively, but it feels that way emotionally. I never had a limit on my potential (or the thoughts of my potential) like this before. I also really start to look old with grey hair and a beard increasingly appearing (yes, I come from old ancestors where all the women that grew old eventually had a beard… it is true, and part of a specific ancient Celtic region). My life is mostly virtual, but I love cards and letters. Although I feel most at home and at ease within virtual environments, I have this lifelong pleasure in sending cards and letters. There is something about it that I really like. Postcards are like time stamps… you see the buildings, the people, the dresses, even the timbre of the colors and you feel the time in which it has been made. Letters are personal, closed, more private, shared thoughts between individuals, close to the heart, with a potential to enter open hearted conversations on multiple subjects. Letters are what history is made off, the letters told historians what keeps us busy, what is going on, what type of people we are. They also have something tactile, they smell a particular way, the paper has a special texture… it is personal without an effort. I suddenly feel I might know something. All people are the same, but we do not all live in the same worlds. Say yes, so opportunities can be lived (and trust your intuition). Technology is just part of life, some like it, some don't. Take action early in life, early actions shorten the path to a personally satisfying life. No woman is an island, adapted from John Donne. I know little and it changes every day, but I learn. It is the 1001 post … so immediately One Thousand and One Nights comes to mind, the set of folk tales gathered over centuries each originating from old and poetic civilizations (Persia, India, Arabia, Egypt, Mesopotamia…). Tales shaped by wisdom and fantasy to share amongst all of us, to exchange and recount those tales time and time again… I like that idea a lot. 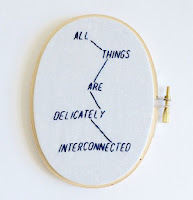 The picture ‘all things are delicately interconnected’ is an interpreted, embroidered version of a Jenny Holzer Truism. To end, a song I frequently play on my birthday: Aux Armes et Caetera by Serge Gainsbourg, the lyrics first, the song embedded thx to YouTube. STephen looks great while he takes the stage, and delivers an authentic, humorous talk with lots of ideas to reflect upon, while all the time simply sharing his experiences and thoughts. I must admit… I have a lot of speaking flow to learn. Streaming life from https://www.youtube.com/watch?v=PnI5NBo13y4 see the full talk there. A model is somethign that seems to always be a defined object, but research and life shows that the application of a model predetermines what comes out of a model. You practically determine what comes out at the other end… how well does this approach increase learning … the conclusion is built into the model. You always find what you are looking for and a model does just that. If a model comes into play, i twill only be at the end of the journey. Stephen refers to old age, the moment where you have the idea that ‘I get it, finally!’. What is missing in the standards based approaches and the models-based approaches is what we used tot hink of as BAD (Bricolage, Affordances and Distribution). Technology should be build for affordances… not predicting what people will do with that technology (Inge: think Iron Bridge approach). Sharing what I do, looking for similarities and then having a laugh at what we do. The tech we are introduced to, is the tech that we will absorb to use, that is the ‘real point of reference’. (everycloudtech.com is used to filter out spam, but still a lot is still). The starting page is an overview of all he does. Using RSS feeds to get information from others (feedly). Stephen does not care about too much information, but to make sure he is getting enough of a snapshot of the world. IN a sense the feeds are random, as they multiply as the information is written. OPML is then shared by entering it into feedly. From there, he selects (from getpocket.com) the content he wants to have a closer look at. A searchable list. Stackoverflow.com is great, you type a question into google on programming and you choose the stackoverflow page. Open coded, creating library (now database of others), 280.000 posts in the last 20 years… WOW! These focused posts drive you to be consize and brief. No one actuallyhas been able to build it … yet. 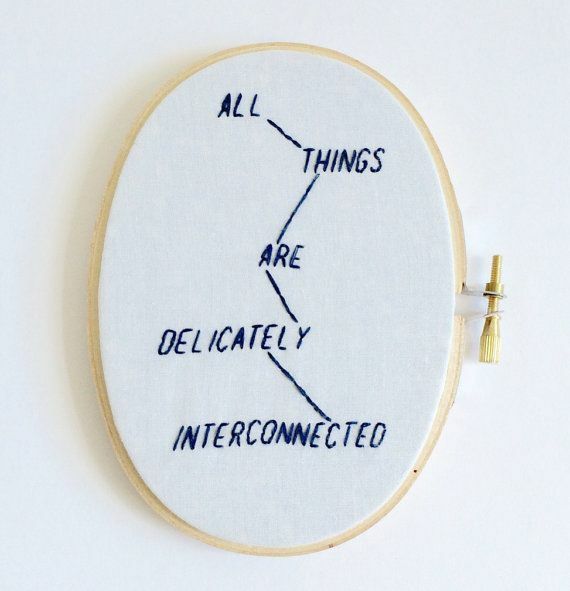 The PLE connects to all the stuff you need or at least think is important. The big question is: how do you pull this off? Decisions to be made: what information should it record, who owns the data, how private, what should it do, what would a person do with it, where exactly is a PLE located? So all of us should have a PLE. So where do we connect with to do stuff with people. There are millions of ways to connect with each other, but the network is currently broken as a lot of software cannot communicate with each other. Properties of the network: how do people find each other? Services? How do they communicate? Is it secure? What do they share? How does a single PLE work with services? 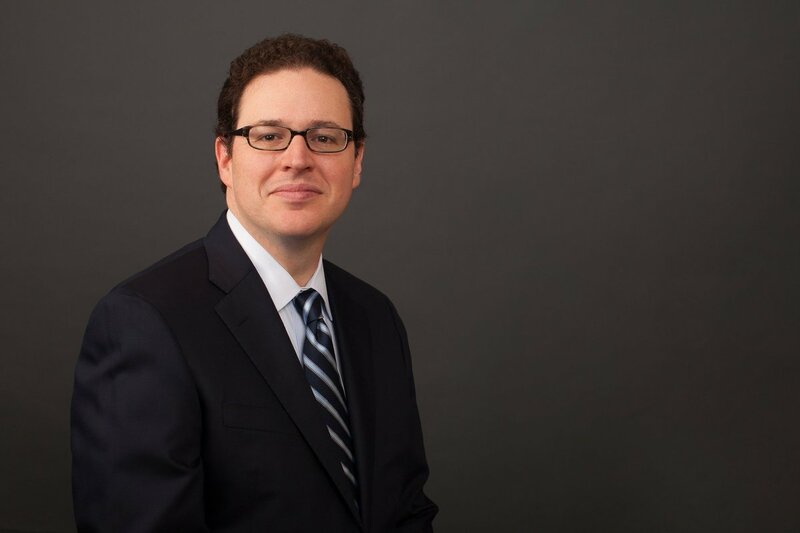 Do we need centralized registries? We need to work decentralized for these PLE, as this will prevent total shutdown. Why a personal learning environment? What is the value proposition for a PLE? And can be non-financial goods: satisfaction, happiness, memories… that is what is going to matter more than the financial benefits… but also different for all the people. Movies: for this live stream on YouTube Stephen used xsplit.com combining slides with video. slideshare.net/downes for slides, sometimes combined with audio (also from this talk). Personalisation are currently: rules-based events, user models, adaptive learning… Stephen sees two approaches to this. Personalised learning is serendipitous, you do it for yourself, it is creating your own learning experience. The outcomes are not certification, but present inner network, your own persona, which manifests your interactions, experiences… extended cognition, including the network. Harold Bekkering reminds me of some of my Dutch family, funny feeling. Once he took the stage, it really was like listening to cousin Folkert. Everything is connected in the brain, and the brain is a predictive machine. A neuron at work is incoming data is output in just one unit. So in neuroscience we see that multiple inputs triggers a process into one output. Hebbian learning: everything is connected (Hebb’ theory). A human can adapt to one specific tone of voice and timbre. Our brain adjusts. The brain is a prediction machine. Read Karl Friston and Andy Clark. Distributed knowledge in the brain. Exteroceptive, autonomic (interoceptive), motoric (proprioceptive) given the conceptual multimodel representations. The brain tries to make the best things for you. It is a multimodal representations, which makes it of interest. The whole brain is summed up in error correction. E.g. you walk to a door (prediction is going through the door), but if a door is closed you adjust your action based upon the perception after the prediction. Amal and Giraud, TICS 2012, beta and gamma power. The brain is only active when you make errors. Only after making an error your model is updated [interesting]. Creating a safe environment to learn from errors. Social learning: humans are by nature social, homo imitans. Dunbar (1998) The social Cortex, it is big because we have huge networks. The Dunbar’s number. Social learning is needed due to the brain needing to be matured over time (baby to adult). Good tip for learning: saying: hi (insert name) and then say the action. The brain does not ignore the calling of a name to become active. Mirror neurons: have revolutionised neuroscience. Motorcortex was investigated, and in the lab, monkeys mimicked humans picking up peanuts. There are cells that only get active if we see someone else moving. Your brain cannot help to observe and react. Learning analytics: extracting data, predicting data, … data driven education. It is not useful to only learn in one learning style is the real point of interest, if you want to really learn the best thing to do is to use all styles for learning. Ben Nelson takes the stage. What is critical thinking? Critical thinking in itself does not exist. There are many things that together make up critical thinking. Evaluating a claim is something else than critical thinking, which requires arguments and proof. Famous study with air traffic controllers, a manual job and taking in enormous amounts of data at split seconds. Critical thinking was similar because of far transfer. Far transfer is the holy grail of wisdom, of learning. Point of wisdom is when you encounter a novel topic, you are able to weave your previous together to come up with a logical response. But we are seldom able to do this. Contexts are influencing learning and recall of learning, which is why people do not often far transfer. At Minerva far transfer is practiced in complex systems, applicable to many different fields. There is a large set of rules that underpin what creative and critical thinking is. At Minerva we took each of these rules and broken it down into approx. 100 parts and we teach them in multiple contexts. This way the students learn to use far transfer more often. Eg. Foundational concept: Bayesian formulas for choices. Learning the concept, and distribution, the hard part is to develop the instinct of when to apply what to which data set. The bulk of the time is to train responses to triggers that point towards one or the other concepts. Once you understand these concepts you can continue to use them over time. Technology is used for tracking data to see whether the students interact based on the data and results in critical thinking. To do this there are also highly immersive seminars with fully active learning: at least 75% of the time need to be active in these seminars. They can debate, then others moderate the debate, interact or fill in the next part of a thought… all of these techniques enable students to be fully engaged [Inge: wondering whether this is not simply Pavlov combined with engagement]. Also using Deep Processing (repeating for deep remembrance). A bit like the Flow, as the learner learns more by being engaged, motivated, willing to learn and focus on something specific.